For men who like to have their fashion put into their gadgets, especially ladies who are tech lovers can have gadgets that are combined with elegant and technology. 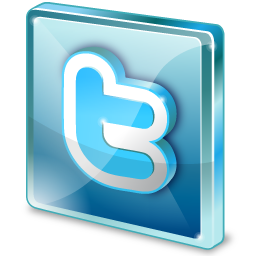 Silicon Power knows the needs of the elegant and luxurious consumers who are looking into the depths of technology with fashion touch. 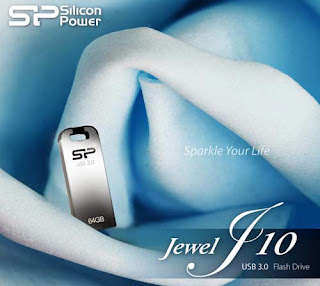 In cases like, storage devices such as USB flash drive, and for that, Silicon Power has newly designed USB flash drive – Jewel J10. The Jewel J10 will catch your eye with its stainless steel design and remarkable appearance, making itself a perfect combination of style and practicability. With the weight of 4g, J10 will amaze you with its mobility and convenience. Accompanied with advanced application of USB3.0 COB (Chip on Board), Jewel J10 is able to not only protect the golden finger from scratches but also prevent itself from damages caused by water, dust and vibration. Furthermore, the creative groove design ensures that your USB is only a keychain away. The brand-new Jewel J10 features modern design and outstanding technology application, offering you the opportunity to experience the excellence of SP products and to express your tasteful living style. In order to fully satisfy your mobile needs, J10 comes in a multitude of storage capacities including 8GB, 16GB, 32GB and 64GB. 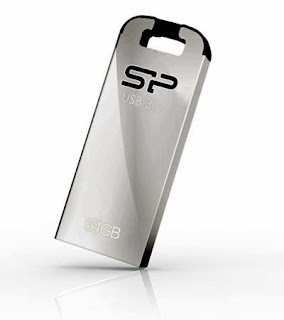 All Silicon Power USB flash drive products come with a lifetime warranty, SP Widget application software which provides seven major back up and security tools and a 60-day trial version of NIS(Norton Internet Security). one quick question: how much is jewel j10? is this better than kingston?